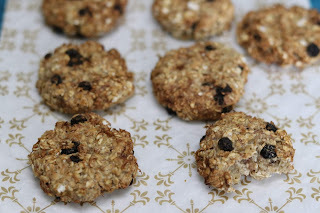 See how to make 2 ingredients Oats cookies which are vegan, gluten free, oil free, sugar free so very healthy cookies. These are perfect eggless breakfast cookies. One of the easiest cookies in the world. 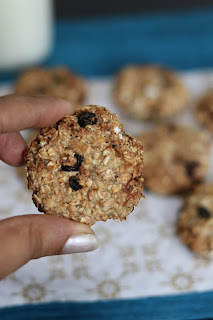 Check out Oats cookies recipe video. 1. Mash banana using fork till we get watery consistency. 2. Add in oats and mix well. 3. Allow the mixture to rest for 10 min so that oats soften up. 4. Add in a pinch of cinnamon powder along with few berries. But this is optional step. 5. Prepare small cookies shape flatten balls and bake in preheated airfryer at 160 degrees for 15 min. Do not over bake it as cookies will dry up. 6. Once the surface of cookies is firm, cool down completely and store in airtight container. 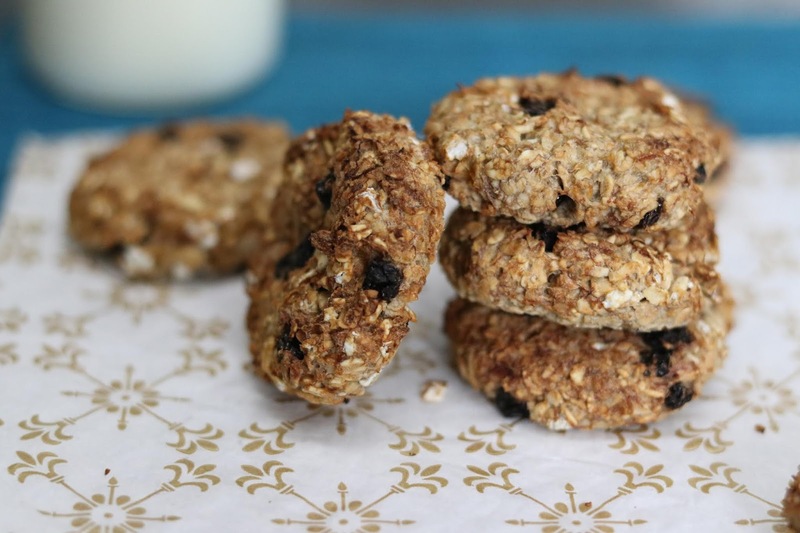 Consume these healthy vegan gluten free cookies with a glass of milk in morning or as a munching snack. Can I bake in regular oven?